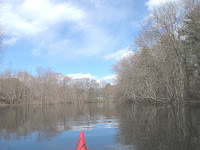 Today's winter-like chill wasn't very welcoming of the newly hatched spring, but at least it wasn't snowing and the water was mostly of the liquid form. Every once in awhile the wind would let up a little and the sun would emerge from behind the clouds just long enough to demonstrate its rapidly gaining late March strength. 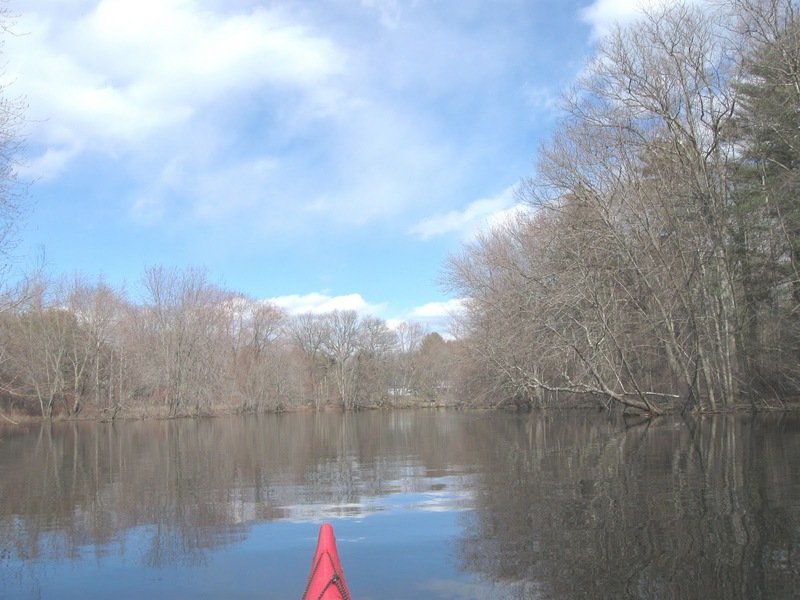 The photo at left was taken at just such a moment while heading downstream on the Assabet River. 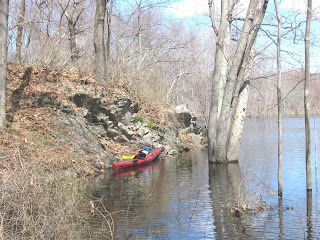 Leaving Egg Rock, I ascended the Assabet River up to Spencer Brook before turning around and retracing my paddle dips. 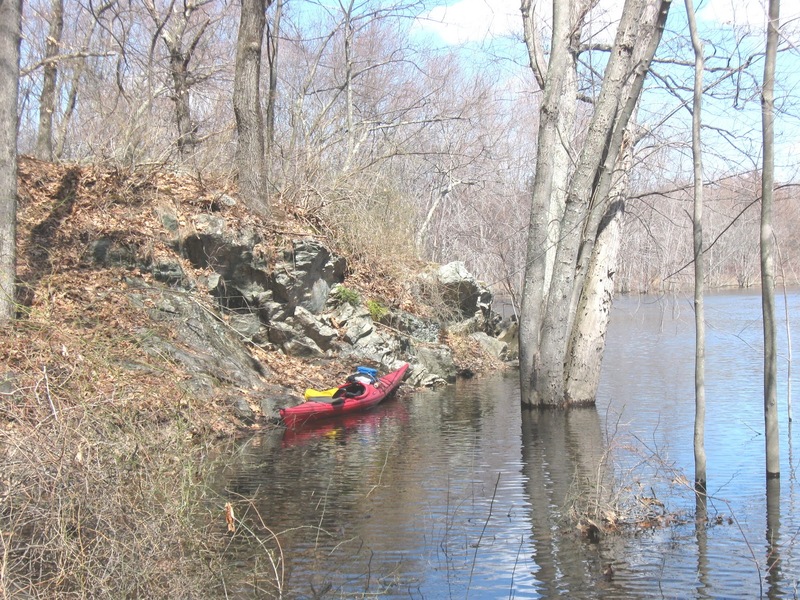 Water levels remain fairly high thus allowing access to trash located in spots that are usually beyond the reach of an outstretched paddle. Saw my first tree swallows of the year near Willow Island. Wood ducks and mallards were plentiful as well as Canada geese. A red-tailed hawk was perched at Egg Rock. The only swimming critter seen today was a lone musquash. 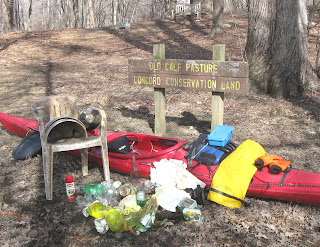 Quite a hodgepodge of trash today. The haul of 67 was composed of a plastic chair, spray paint can, 2 bags with green dye, glass and plastic bottles, styrofoam containers, and a soccer ball. Recyclable containers numbered 23 (3 redeemable) and there were 44 pieces of miscellaneous rubbish. My YTD total is 515. Nice work on snagging that chair, Al.